Meet Be Well Philly’s new digital contributor, Laura Brzyski. By Laura Brzyski·	 4/8/2019, 8:30 a.m. I have two main passions: Philadelphia and wellness. I was born and raised in Philly, meaning I still — and always will — abide by the unspoken rule: Don’t say you’re from Philly if you’re actually from the ‘burbs. This doesn’t mean that we exclude suburbanites. In fact, many of my close friends grew up in or migrated to somewhere beyond city limits. I even agreed to marry someone whose area code is not 215! What the “rule” shows is that we Philadelphians take pride in where we live, that our city is more than just the place where we reside but part of who we are as people. We are not one-dimensional but multi-faceted, containing multitudes (thanks, Walt Whitman). I, like so many other Philadelphians, am both outspoken and kind, gritty and sensitive, loyal but not a doormat. I find these dualities inspiring and motivating. I am constantly learning from others who are confident in their contradictions, who define their own identities, and live by their own rules. I can’t wait to connect with and celebrate the stories of individuals who also share a love for this city and, more importantly, are proud to be themselves. When it comes to fitness, my movement has always been defined by rhythm. When I was five, I chose tap shoes over soccer cleats, preferring my Saturdays be spent in the studio rather than on the field. There was something about the way music moved through me that made me feel like I could accomplish anything, that I was brave in following the subtle riffs pulsing beneath the main chords. For 13 years, my body lived by “5-6-7-8,” and my mind transposed “ba da da da” into choreographed steps. Dancing not only kept me fit but eased my mind. When I went to college, I wasn’t able to dance in the same capacity I had been accustomed to. 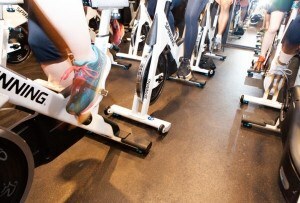 So I sought movement elsewhere: in the gym, on a yoga mat, at indoor cycling classes — any place that was going to keep my body active. Unfortunately, I became so fixated on toning my body that I completely neglected my mind. Although I was the most physically fit I had ever been, I was also the most unhappy and emotionally empty. Eventually, I had to step away from the fitness scene for a while so I could let my mind recharge and feel mentally myself again. 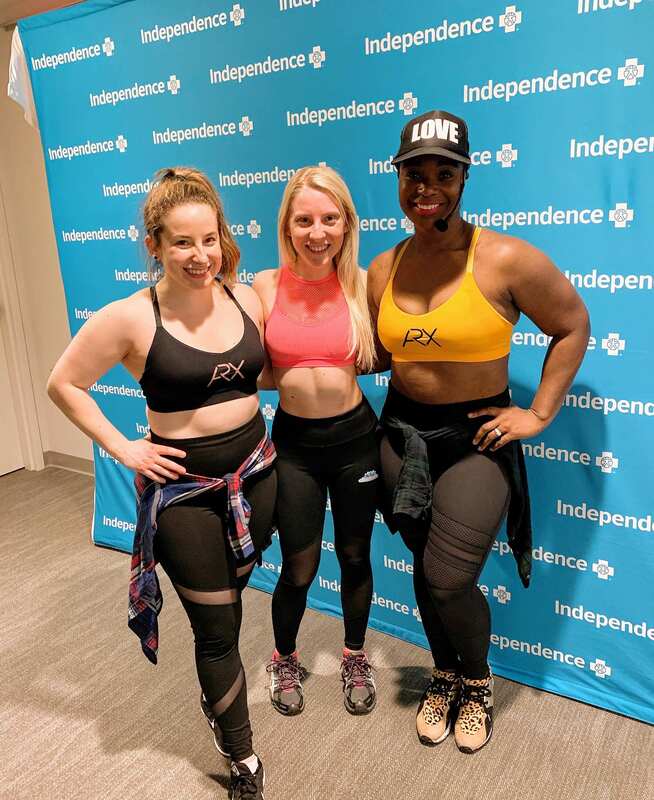 Philadelphia’s vibrant wellness scene helped me rebuild. I started practicing yoga again with the help of CorePower Yoga. I attended mindfulness workshops and empowerment groups throughout the city. I even started dancing again, going back to my home studio for a bit, as well as taking Cachet Ivey’s West African dance class. Today, I hop around studios using an app, choosing classes based off what both my body and mind are telling me they need. I’ve learned being well means more than just being fit — it also means taking care of one’s mental health. For me, that means watching TV shows with my fiancé and our dog (yes, he does watch! ), sitting on my couch with a good book, traveling, and baking desserts. As a firm believer in the notion that wellness manifests in various ways, I’m determined to tell honest, empowering stories that feature individuals who are achieving their goals and helping others, like the Drink Peloton guys creating super healthy (and delicious) tea. I also seek to provide you, our Be Well Philly readership, with guides that not only offer suggestions and tips (like this book recommendations roundup) but motivate you to make yourself a priority. As a writer and person, I strive to always be transparent and to tell the stories that still remain unheard. I’m wildly excited over this opportunity and look forward to supporting you on your wellness journey. I am here for you, Philly. Reach out any time: Lbrzyski@phillymag.com.